The 'Year of Legendary Pokémon' celebrations are still going along full steam ahead, and August's distribution is now well underway. 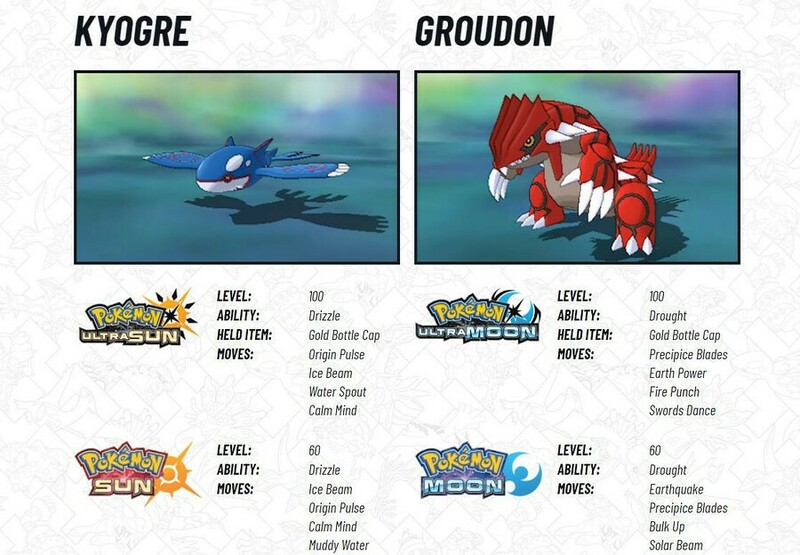 This time around, players will be able to get their hands on either Kyogre or Groudon - or both if you have multiple copies of the games. These Hoenn legendary monsters, who first appeared in Pokémon Ruby and Sapphire, will be available for Pokémon Ultra Sun and Ultra Moon, as well as Pokémon Sun and Moon. Their stats will differ depending on which game you plan to send them to. As seen in the video above, those in the US will need to visit their local participating GameStop store between now and 26th August to grab a code; UK players must visit their local GAME store by the 25th August. Will you be adding these legendary creatures to your game? Let us know with a comment below. Again via a store, ugh Nintendo/Gamefreak it's 2018. It's genuinely easier to find a Poundland than a GAME in 2018. Just let us download them like most other normal games. And in the rest of Europe we are screwed as usual. @Spectra I'll second that, why can't we just have them all available in the game itself. Normally, I wouldn't have bothered with this and would have just legitimately transferred over my Kyogre and Rayquaza from Sapphire, but the darn Pokemon Bank wouldn't let me! I have no idea why either! @wazlon @Spectra Maybe that'll happen with Pokemon Switch 2019? I'm willing to bet the 3DS just wasn't up to snuff for it. Why even include an option to receive gift 'mons via internet if you're not going to use it? @ThatNyteDaez Is it a hacked Pokemon? Sometimes the Bank will stop you from transferring Pokemon that have stats outside of the possible limit. @ThatNyteDaez Could it be that Kyogre was holding the Blue Orb? 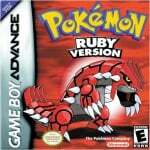 I seem to remember that with Pokemon Platinum, you couldn't trade Giratina while it holds the Griseous Orb, likely because that is an item that does not exist in Diamond/Pearl or maybe because that item is a 1-per-game item. I mean, you can use Pokemon Bank with X/Y and those games don't have the ORAS orbs, so that's probably why. I would say not - items do NOT go into Bank! @PigmaskFan Well, yeah. What I meant was that this might be why you couldn't put your Kyogre into Bank, because it's holding an item. Unless Bank automatically removes items a Pokemon is holding?